Dirty Girl Farm is an organic, vegan skincare and beauty company that has been in business for over 20 years. 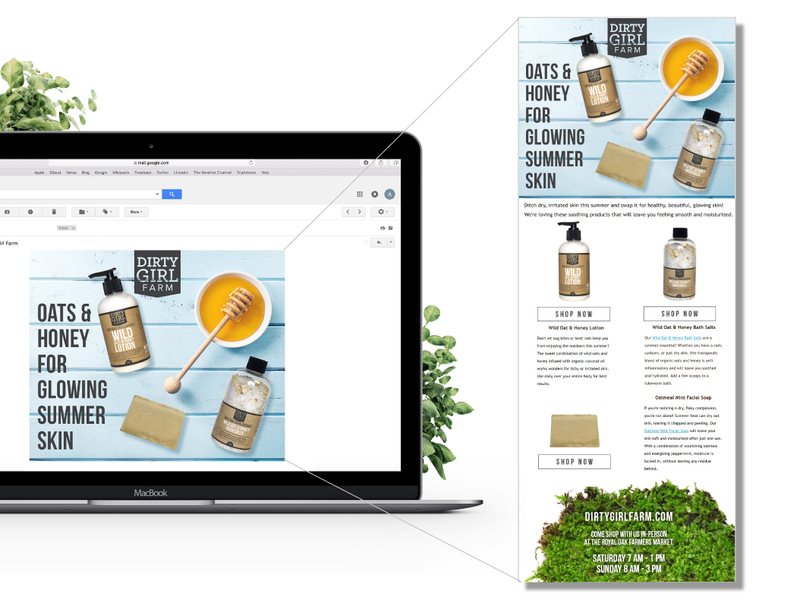 Looking to elevate its brand image, Dirty Girl Farm retained us to conduct a complete visual brand overhaul as well as provide full-service marketing support. 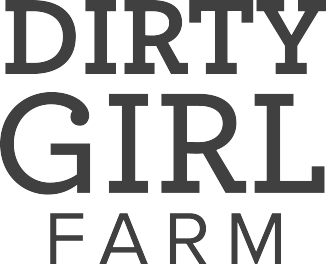 Dirty Girl Farm’s original logo was not very visible as it did not appear on the product labels, so a complete redesign of the logo did not present as many identity-confusion obstacles as sometimes happens when a long-standing company wants to overhaul its visual identity. Furthermore, the use of the cartoon woman and child no longer fit the clean, modern vibe that DGF wanted to convey. We maintained the monochromatic aesthetic, creating a simple black and white badge logo with an updated font that was easily incorporated onto labels, apparel, website and marketing pieces. One of our first projects was to design labels for Dirty Girl Farm’s 400 products. For over 2 decades, they used simple Avery mailing labels in order to keep costs down, but we were able to balance budget concerns while elevating the brand’s look. We created a professional, modern label design–with 10 variations for different container sizes–that still managed to maintain an organic, handmade feel. 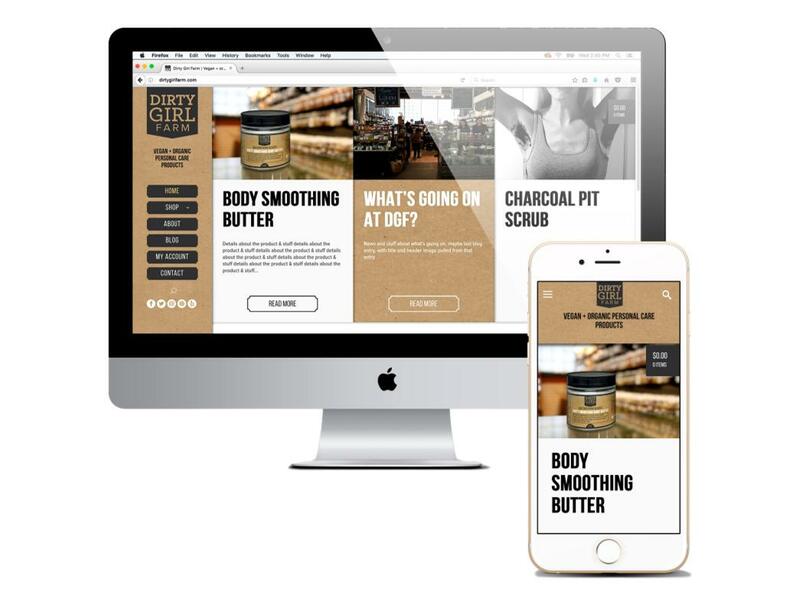 Dirty Girl Farm’s customer base wanted a balance of both educational content and product information delivered straight to their inbox. As an e-commerce company, email marketing was especially important to help drive online sales. We created weekly e-blasts that experienced a higher than normal open rate, and contributed to an increase in both online and in-store sales. 38% of website traffic came directly from e-marketing campaigns. We also enabled automated e-marketing that we used to target customers who had left products in their shopping cart, to provide product recommendations based on previous sales and deliver incentives to entice customers to return to the site. Much like the engagement with e-marketing, social media is essential for Dirty Girl Farm to connect directly with customers. We fielded and responded to daily customer inquiries, and we furthered the brand message with strategic posts and special promotions. We connected with followers, social influencers, and other brands to build awareness and sell products. We also used paid placements on Facebook and Instagram to maximize our presence on those platforms. Once the visual brand was overhauled, we designed and developed an entirely new e-commerce website that allowed for easy navigation of over 400 products. We took all product photography, organized inventory, rewrote product descriptions, created a tagging system and ensured all messaging was consistent and on brand. We also created an affiliate program and wholesale shopping experience. 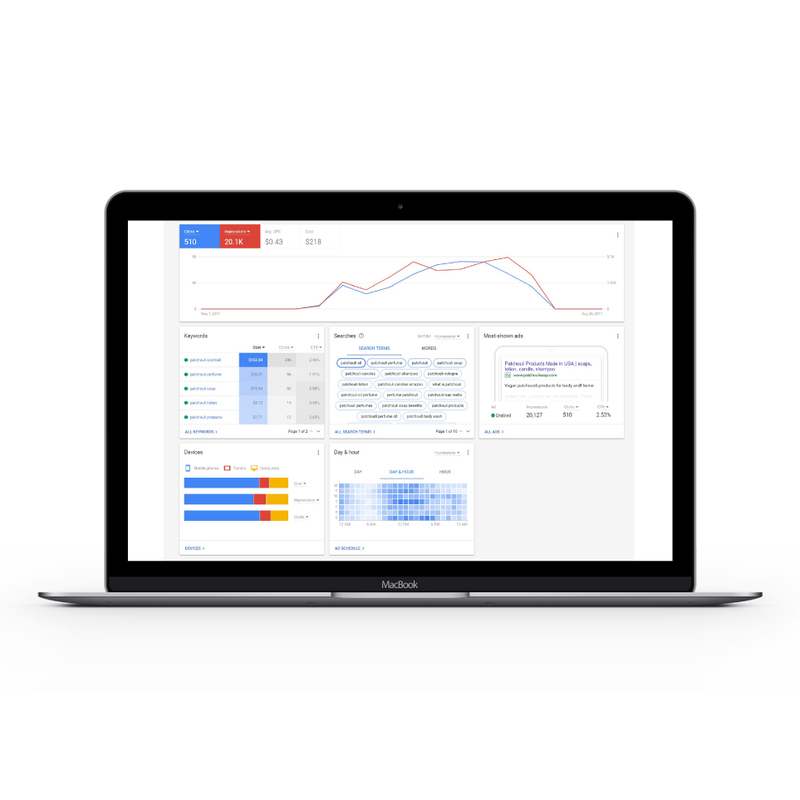 Additionally, we tied in a comprehensive email marketing campaign to the website, which tracked all customer purchases and website activity for a custom shopping experience. With the new e-commerce website’s launch, we executed a 2-month Google Adwords campaign to drive traffic. Selecting keywords that separated Dirty Girl Farm from the crowded cosmetic and beauty vertical, we were able to achieve a click through rate that was nearly twice the industry average (3.10%) and an average cost per click as low as 29 cents. Even with a conservative budget, we were able to achieve conversions that resulted in a 60% ROI. We garnered local and national media attention for Dirty Girl Farm via targeted pitches to beauty editors, lifestyle bloggers, health writers and television producers. 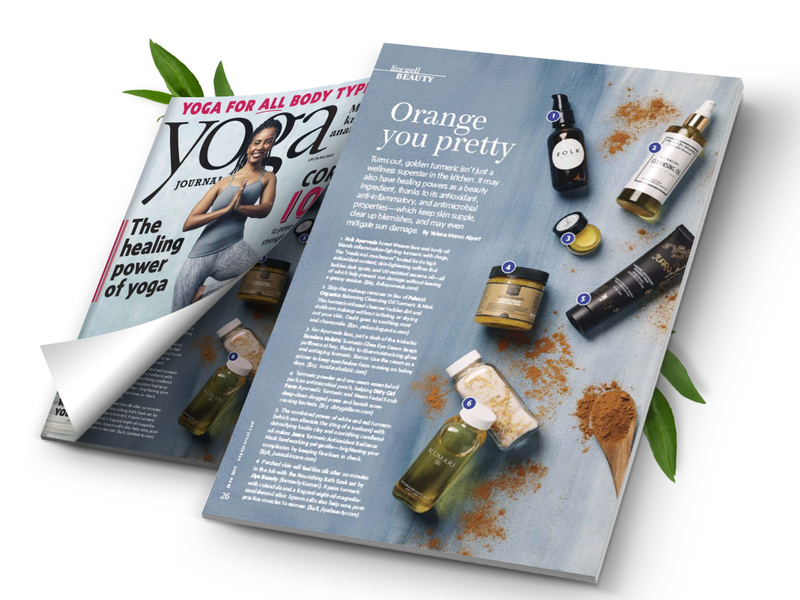 Dirty Girl Farm was a featured product in the May 2017 edition of Yoga Journal. 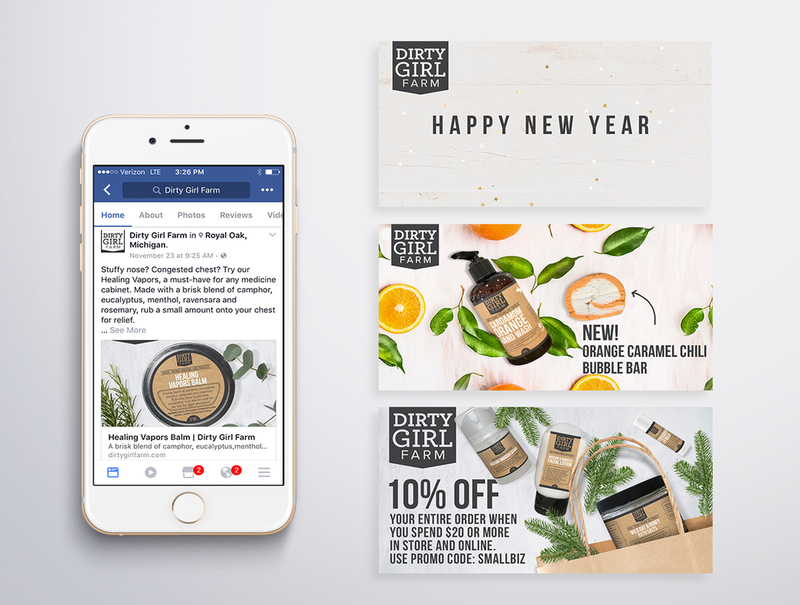 To complete Dirty Girl Farm’s in-store brand refresh, we designed marketing collateral with their store’s layout and customers’ informational needs in mind. 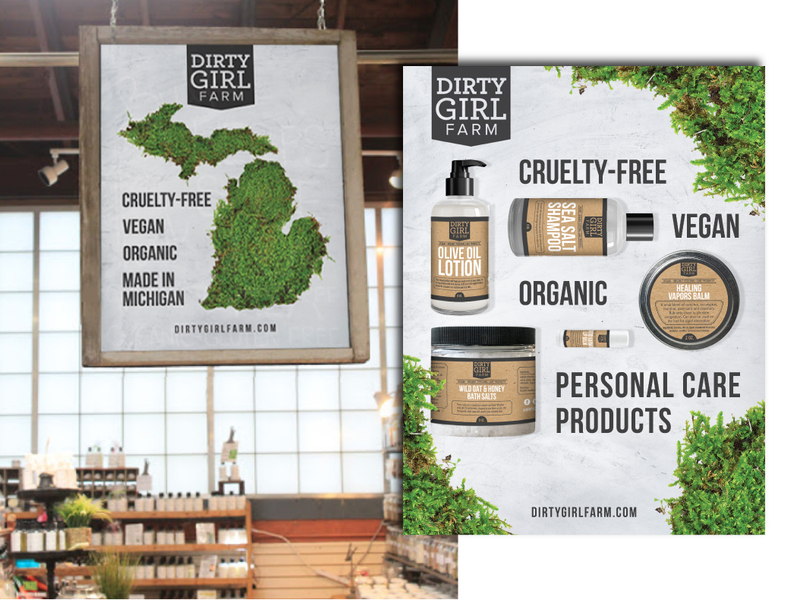 In addition to POS signs and shelf displays, we created a suite of materials that wholesalers could download and print in order to promote Dirty Girl Farm products in their respective shops. With the store’s signage and labels boasting a unified and refreshed look, we designed branded uniforms for Dirty Girl Farm’s sales staff. 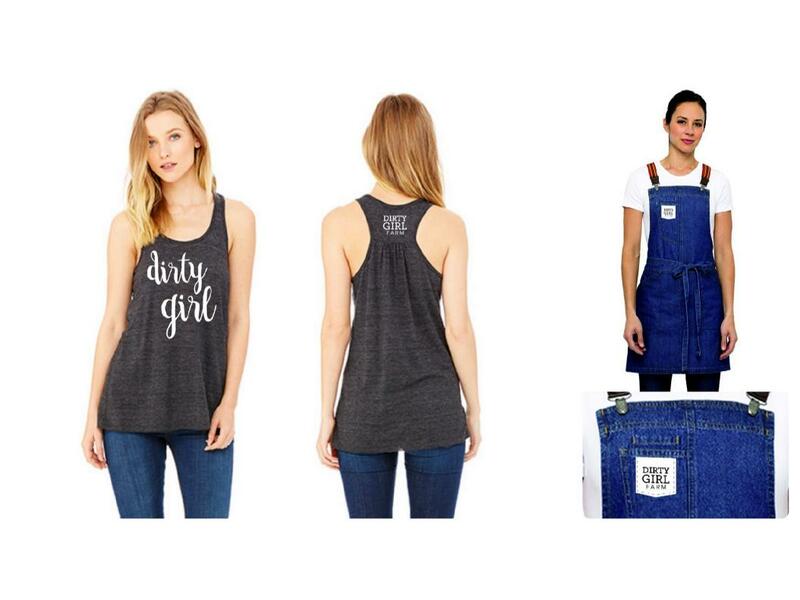 In addition, we created branded merchandise for Dirty Girl Farm to sell in store to customers.